In a galaxy far, far away, there’s a planet that uses Maths to control the world. 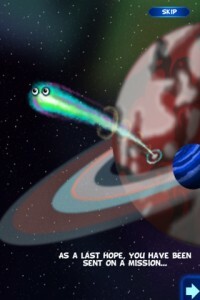 But now, an alien planet is attacking, and all the secrets of Maths risk to be forever lost. And it is all up to you to save this planet by using the force of Maths to destroy the enemies. All the action takes place in AppStore’s own Math Evolve for the iPhone and iPad. Math Evolve is an educational and fun app that helps children improve their Maths skills, while having fun shooting at vile creatures to save an endangered planet. Just add your name to create a profile, and then you’re all set to go. This way, you can keep track of the evolution of your Maths skills and compare them with your brothers, sisters or friends, since you can create as many different profiles as you want. When you say puzzle, you automatically think of pieces that have to go along to create a bigger picture. Well, but what if, instead of creating a picture out of puzzle pieces, you were supposed to recreate a song? Sounds interesting? Well, there’s only one way to find out. Download Musical Puzzle HD from the AppStore and find out for yourself. 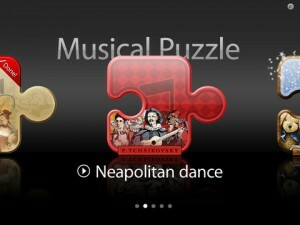 Musical Puzzle HD is a new type of puzzle that requires both your visual and audio skills. Just pick a song from the list provided by the app, play it, and try to recreate it by using the audio puzzle pieces that you are given. Once you found the right piece, add it to the board and play the song once again to see if you were right and what sound you need to add next. Mr Crocodile needs to clean his teeth or else he’ll get cavities. But no one wants to help him, because they are all afraid that he’s going to eat them. Take a journey with this nice Crocodile as he is trying to find someone who will help him, and find out how the story ends with a single download of Open Wide Snap from the AppStore. 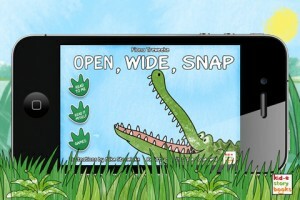 Open Wide Snap is an ebook for children meant to help them learn new words while enjoying the story of the nicest crocodile in the world. Your child will surely enjoy this rhyming story, filled with great graphics and a really nice background tune to go along with it. Plus, with Open Wide Snap, you can read the story to your child, or you can let him listen as it is being read by a professional children’s narrator from the BBC CBeebies Tv Shows. Meet Sparky the Shark. You should know straight from the start that he is no usual shark. Instead of hunting people, he wants to be their friend. But people don’t know this, so Sparky has to start a frighteningly funny adventure to make people like him. And now you can join him through his magical journey, by downloading Sparky the Shark from the AppStore. 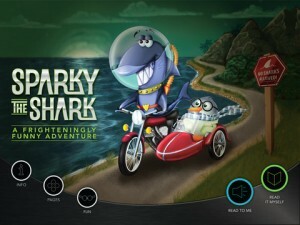 Sparky the Shark is an interactive storybook that your children will most definitely enjoy. The book is made up of over 30 beautifully designed illustrations, each one of them being accompanied by a unique musical background that makes the story look even more real. These features, along with the short paragraphs that make up the story, are guaranteed to make your kid ask you to read him over and over again about Sparky’s frighteningly funny adventure. Have you ever heard about the African Wild Dog or the Banteng? They are just 2 of the 365 species threatened with extinction in the world. And now, you can find out all about these species and what can be done to prevent their extinction. 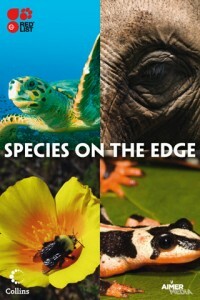 Just download Species On The Edge from the AppStore and get all the information you need to know about these species and their role in our ecosystem. Species On The Edge is a reference app that tells you everything you didn’t know about 365 threatened species in the world. Select one of the species that you’re interested in, and read all about it. The information is condensed in only a couple of paragraphs that tell you all there is to know about the location, remaining population, importance and what can be one to save it. Whenever you feel like your classmates are putting you to shame with their math, physics and chemistry knowledge, you should check if they don’t have Formula MAX on their iPhones or iPads. 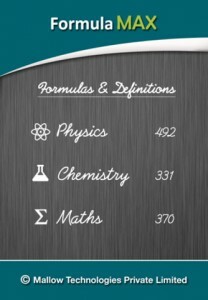 Formula MAX features a vast collection of over 1150 formulas, definitions and theorems from the realm of Math, Physics and Chemistry, with more formulas being added constantly. Despite the enormous database of formulas, the app is available entirely offline, so you can take advantage of its fountain of knowledge in the classroom as well as at home. Forget about static, motionless graphs to indicate relationships between variables in a function! Start plotting polynomials, trigonometry functions, exponentials squares and saw waves amongst others on your iPad, while taking advantage of the device’s mutitouch interface to pan, zoom and modify variables to see the outcome of your function change on the fly. If this all sounds like another language to you, then you’re probably not going to need Math Flyer on your iPad. 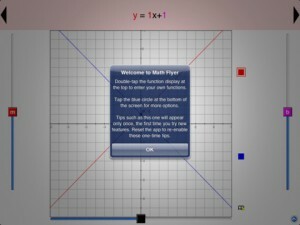 But if you’re a highschool or college student or professor, then Math Flyer is the perfect companion to your dusty old books.